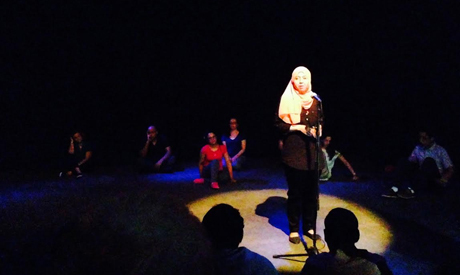 Last weekend some 150 viewers flocked to Lewa’t ‘Oza (For a time of need), the Doum storytelling event at the Rawabet Theatre. 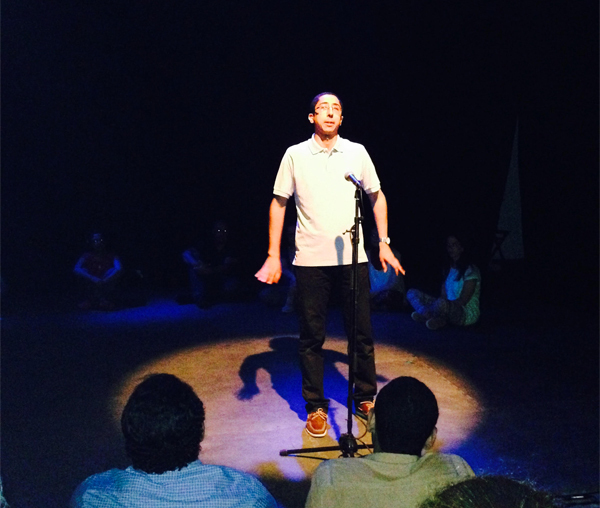 Written and performed by participants in the celebrated novelist Sahar Al-Mougy’s Seshet creative writing workshop, part of the Doum Cultural Foundation programme, the show featured nine talents who owned the stage. Scenes from the heart of Upper Egypt interweaved with invented characters, a liberating haircut or a haunting tango: such images and motifs filled up the theatre as the tales unfolded. They reflected the cherished memories and joyful refrains in which the performers-writers take refuge in the time of need to which the title refers. This is the Seshet group’s third storytelling performance. The first took place last Ramadan, unveiling one of the most remarkable phenomena to have emerged on the cultural scene in recent times. The group was originally made up of 50 writers, and many of these chose to perform their stories. Al-Mougy went on to explain how storytelling gave her a new understanding of her own body “and its amazing ways of expressing itself” including the ability of the eyes to reflect feelings. That is to name but a few enjoyable and illuminating tools a storyteller has to use. Storytelling is perhaps the oldest art form. Over the centuries it has been eroded by a progress route increasingly at odds with the power and beauty of the unaided imagination. In Egypt today, though still somewhat limited in its scope, the art is practiced in a wide range of traditional and contemporary registers (from the Upper Egyptian bard Said Al-Dawi, who knows over a million verses of the Hilaliya epic by heart, to experimental and feminist forums). It has been popularised by El Warsha Theatre Company, whose founding director Hassan Al-Geretly was a major force in bolstering up and reviving the form. In the meantime the National Folklore Archive has documented and preserved folk tales from the four corners of Egypt. 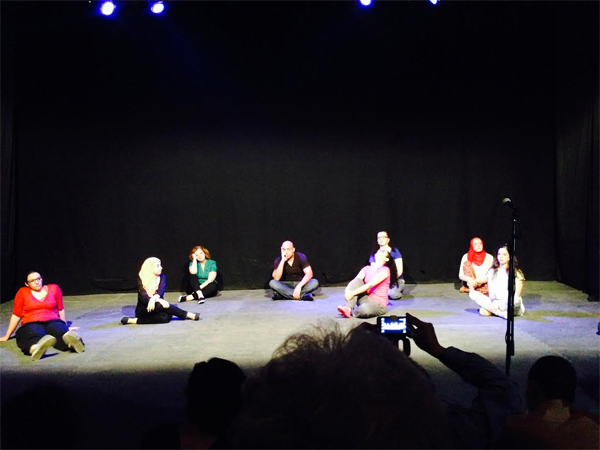 Efforts to instigate and sustain storytelling in Egypt have borne fruit. This year marks the second Doum National Storytelling Festival in Qena, an Upper Egyptian province where folk storytelling is deeply rooted. Run by the Doum Cultural Foundation, the festival featured over 10 independent storytelling troupes performing in coffee houses and on the streets, roaming around the villages to tell their stories. It also included storytelling from Nubia and the Siwa Oasis, voices rarely heard on the Egyptian cultural scene. Al-Khamisy added that this was partly what drove him to concentrate on reviving storytelling, with the Doum Cultural Foundation aiming for “a democratisation of knowledge, passing knowledge to the greatest number of people possible”. A simple and direct but also deep form, storytelling reflects Doum’s philosophy of accessible knowledge. For Al-Khamisy, storytelling is also a raw form of art -- perhaps superseded by more complex and beautiful art forms -- though it remains one of humanity’s primordial urges. That urge, Al-Khamisy insists, should be abandoned to its fate as folk heritage but should be saved and nurtured so that it can live and grow.